Black Roof Side Rails, Dual Zone Electronic Automatic Temperature Control, Perimeter Alarm, Power Converter 110V Outlet, SE Convenience Package. Black - Come check out Hi Tech Luxury Imports, Austin's best source for Exotic Performance vehicles. Save time and call our VIP Ecommerce team at 512-401-2663. Awards: * 2014 KBB.com 10 Best SUVs Under $25,000 * 2014 KBB.com Brand Image Awards Reviews: * Get-noticed styling, great fuel economy and a powerful technology package are three good reasons you might find the Ford Escape is just what you want in a small crossover. Source: KBB.com * Good performance and fuel efficiency; many high-tech features; agile handling; high-quality cabin; comfortable seating. Source: Edmunds * The second year into it's gorgeous new look, the 2014 Escape is a Compact SUV that is an absolute head turner. A major departure from its previous generation, this Escape is refreshingly modern with sporty attitude. Further, the interior of the escape showcases impressive design, and high quality materials. It is one of the leaders in its segment for gas mileage, styling, and great technology as well. There are three trims available for the 2014 Escape: S, SE, and Titanium. Standard on all 3 models, is a generous assortment of standard features. You get a 6-Speed SelectShift Automatic, Power Windows and Door Locks, a Storage Bin under the floor, Touch Controls on the Steering Wheel, and Flat Fold Rear Seats. Plus, it comes with a 6 Speaker, AM FM Radio with CD, MP3 and Auxiliary Input, and a Communication and Entertainment System. The Base S Trim comes with a 2.5-Liter, 4-Cylinder Engine with 168 Horsepower that gets an EPA estimated 22 MPG in the City and 31 MPG on the Highway. Plus the base also comes standard with the MyKey system for parents of younger drivers. The SE and Titanium come standard with a 1.6-Liter EcoBoost engine, with an optional 2.0-Liter EcoBoost I-4 engine available instead. Bought as a two-wheel drive, the 1.6-Liter gets an EPA Estimated 23 MPG City and 33 MPG Highway, while the 2.0-Liter gets 22 MPG City and 30 MPG Highway. The S Trim can only be purchased as a two-wheel drive but the other two models give you the option of four-wheel drive as well. In terms of Safety, all models are standard equipped with Front and Rear Anti-Lock Brakes, AdvanceTrac with Roll Stability Control, and a Rear View Camera Come experience the 2014 Ford Escape for yourself today! Source: The Manufacturer Summary While every reasonable effort is made to ensure the accuracy of this information, we are not responsible for any errors or omissions contained on these pages due to errors with our third party inventory polling service. Please verify any information in question with Hi Tech Luxury Imports. Obsidian CARFAX One-Owner. Clean CARFAX. - Come check out Hi Tech Luxury Imports, Austin's best source for Exotic Performance vehicles. Save time and call our VIP Ecommerce team at 512-401-2663. Awards: * JD Power Dependability Study * ALG Best Residual Value * 2013 IIHS Top Safety Pick * 2013 KBB.com 5-Year Cost to Own Awards * 2013 KBB.com Brand Image Awards * 2013 KBB.com Best Resale Value Awards Reviews: * The new look and more sharply honed character finally makes the 2013 GS the kind of first-rate luxury-sport sedan that it could - and should - have been from day one. Source: KBB.com * Capable handling with refined ride quality; high-quality interior; cutting-edge safety and entertainment technology. Source: Edmunds While every reasonable effort is made to ensure the accuracy of this information, we are not responsible for any errors or omissions contained on these pages due to errors with our third party inventory polling service. Please verify any information in question with Hi Tech Luxury Imports. Recent Arrival! White Clean CARFAX. - Come check out Hi Tech Luxury Imports, Austin's best source for Exotic Performance vehicles. Save time and call our VIP Ecommerce team at 512-401-2663. Awards: * JD Power Vehicle Dependability Study * 2014 KBB.com Best Resale Value Awards * 2014 KBB.com Brand Image Awards * 2014 KBB.com 5-Year Cost to Own Awards Reviews: * Want a snappy sports sedan with advanced technology, exquisite fit and finish and the peace of mind of known reliability? Visit your Lexus dealer and take a look at the 2014 GS 350. Source: KBB.com * Capable handling with refined ride comfort; high-quality interior; cutting-edge safety and entertainment technology. Source: Edmunds While every reasonable effort is made to ensure the accuracy of this information, we are not responsible for any errors or omissions contained on these pages due to errors with our third party inventory polling service. Please verify any information in question with Hi Tech Luxury Imports. Recent Arrival! Silver - Come check out Hi Tech Luxury Imports, Austin's best source for Exotic Performance vehicles. Save time and call our VIP Ecommerce team at 512-401-2663. Awards: * 2015 KBB.com 10 Best SUVs Under $25,000 * 2015 KBB.com 10 Coolest Cars Under $25,000 * 2015 KBB.com Best Resale Value Awards * 2015 KBB.com 10 Most Fun SUVs While every reasonable effort is made to ensure the accuracy of this information, we are not responsible for any errors or omissions contained on these pages due to errors with our third party inventory polling service. Please verify any information in question with Hi Tech Luxury Imports. Black Clearcoat CARFAX One-Owner. Clean CARFAX. - Come check out Hi Tech Luxury Imports, Austin's best source for Exotic Performance vehicles. Save time and call our VIP Ecommerce team at 512-401-2663. While every reasonable effort is made to ensure the accuracy of this information, we are not responsible for any errors or omissions contained on these pages due to errors with our third party inventory polling service. Please verify any information in question with Hi Tech Luxury Imports. 115V AC Power Outlet, KEYLESS GO®, Lane Tracking Package Code, Navigation Updates For 3 Years, Premium Package, Radio: COMAND® System w/Navigation, Region Coding, Single DVD Player, SIRIUS XM Satellite Radio. Polar White - Come check out Hi Tech Luxury Imports, Austin's best source for Exotic Performance vehicles. Save time and call our VIP Ecommerce team at 512-401-2663. Reviews: * Broad range of engine choices; quiet, upscale and well-built interior with a roomy backseat; long list of standard safety and technology features. Source: Edmunds While every reasonable effort is made to ensure the accuracy of this information, we are not responsible for any errors or omissions contained on these pages due to errors with our third party inventory polling service. Please verify any information in question with Hi Tech Luxury Imports. ABS brakes, Alloy wheels, DVD-Audio, Electronic Stability Control, Front dual zone A/C, Heated door mirrors, Illuminated entry, Low tire pressure warning, Navigation System, Power Liftgate, Remote keyless entry, Traction control. Grey CARFAX One-Owner. - Come check out Hi Tech Luxury Imports, Austin's best source for Exotic Performance vehicles. Save time and call our VIP Ecommerce team at 512-401-2663. Awards: * 2016 KBB.com 10 Best Luxury SUVs * 2016 KBB.com Brand Image Awards Reviews: * Rewarding handling; wide range of engines available, from a plug-in hybrid model to the ultrafast Turbo S trim; exquisite interior; highly customizable. Source: Edmunds * Now in its second generation, the Cayenne has firmly established its reputation as a pure, no-compromise Porsche. The contours of the front section draw the eye, reflecting excellent dynamics. The elongated hood is clearly reminiscent of Porsche race cars from the 1960s, and is perfect for a Porsche lover in need of extra space, as it holds five passengers and plenty of cargo. With a choice of 5 different engines you can opt for including the Diesel with 240hp/406 lb-ft of torque, the 420hp V6 in the S, the 333hp V6 mated to a 95hp electric motor in the s E-Hybrid, the 520hp V8 in the Turbo, or the 570hp V8 in the Turbo S. The Cayenne is also outstanding as an off-road vehicle with its nimble acceleration and superb handling. When on such a trip, the refrigerated glove compartment just might come in handy! The front wheel arches are extremely well defined, while the power-domed hood further underlines the sheer power and resolution within. Other distinguishing features include the visibly drawn-in lower door panels and contoured roof spoiler. The interior is both sporty and comfortable. The center console rises to meet the dashboard for an involved drive. Both front seats enjoy 12-way seats with four-way lumbar support. The cavernous rear cabin area features split-folding seats with fore/aft adjustment as well as extra legroom and great comfort. Standard equipment on the Cayenne includes AWD, water-repellent front side windows, a height-adjustable power liftgate, and rain-sensing windshield wipers. For safety, the Cayenne has six airbags, brake pad wear indicators, and start/stop with the automatic transmission options. Finally, this Porsche rocks out with a ten-speaker audio system monitored by a seven-inch touchscreen. Source: The Manufacturer Summary While every reasonable effort is made to ensure the accuracy of this information, we are not responsible for any errors or omissions contained on these pages due to errors with our third party inventory polling service. Please verify any information in question with Hi Tech Luxury Imports. Nero Clean CARFAX. - Come check out Hi Tech Luxury Imports, Austin's best source for Exotic Performance vehicles. Save time and call our VIP Ecommerce team at 512-401-2663. While every reasonable effort is made to ensure the accuracy of this information, we are not responsible for any errors or omissions contained on these pages due to errors with our third party inventory polling service. Please verify any information in question with Hi Tech Luxury Imports. ABS brakes, DVD-Audio, Electronic Stability Control, Front dual zone A/C, Heated door mirrors, Heated front seats, Illuminated entry, Leather Upholstery, Low tire pressure warning, Navigation System, Power moonroof, Remote keyless entry, Traction control. Bianco Clean CARFAX. - Come check out Hi Tech Luxury Imports, Austin's best source for Exotic Performance vehicles. Save time and call our VIP Ecommerce team at 512-401-2663. While every reasonable effort is made to ensure the accuracy of this information, we are not responsible for any errors or omissions contained on these pages due to errors with our third party inventory polling service. Please verify any information in question with Hi Tech Luxury Imports. Casino Royale Clean CARFAX. - Come check out Hi Tech Luxury Imports, Austin's best source for Exotic Performance vehicles. Save time and call our VIP Ecommerce team at 512-401-2663. While every reasonable effort is made to ensure the accuracy of this information, we are not responsible for any errors or omissions contained on these pages due to errors with our third party inventory polling service. Please verify any information in question with Hi Tech Luxury Imports. Recent Arrival! White Clean CARFAX. - Come check out Hi Tech Luxury Imports, Austin's best source for Exotic Performance vehicles. Save time and call our VIP Ecommerce team at 512-401-2663. Reviews: * The 2015 Jaguar F-Type Coupe and Convertible bring style, luxury, and a huge helping of performance to the sports car marketplace, offering a unique alternative to sports cars like the Porsche 911, without giving up any curbside appeal. Source: KBB.com * Stirring performance; sharp style; finely crafted cabin. Source: Edmunds * The purity and elegance of the F-TYPE's design gives it lasting beauty. Look closely, and you will see how established Jaguar design themes have been evolved, most notably the J-Blade headlights and the shape of the four-sided grille. The F-TYPE has a lightweight aluminum body structure with high torsional rigidity, making it the ideal platform for a sports car. This strong, rigid structure provides an inherently stable platform for precise, agile handling, and is the perfect complement to the high-performance engine range. The convertible top is light, fast and refined. Fully powered, it opens or closes in just 12 seconds and can be operated at speeds of up to 30mph. New for 2015 is the introduction of a coupe bodystyle. The F-TYPE lineup features three supercharged engines: two versions of the new Jaguar 3.0L V6 produces 340hp or 380hp, the acclaimed Jaguar 5.0L V8 producing 495hp, or the 5.0L V8 producing 550hp. The new 8-speed QuickShift ZF automatic transmission features closely spaced ratios and is specifically engineered for the F-TYPE with shifts that are shorter and more immediate. Full manual control of the transmission is just a fingertip away: Manual shifting can be done with paddles mounted to the steering wheel, or by using the new SportShift selector. Inside, he F-TYPE is a pure two-seat sports car. All models come standard with the Sport style seat. On V6-powered models, this deeply bolstered seat features 6-way manual and electric adjustment and leather trim with Suedecloth center sections for high grip during cornering. The V8 S model features full leather seat facings and 14-way fully electric adjustment. The intuitive 8-inch Touch-screen controls important vehicle functions including audio, telephone and navigation. Source: The Manufacturer Summary While every reasonable effort is made to ensure the accuracy of this information, we are not responsible for any errors or omissions contained on these pages due to errors with our third party inventory polling service. Please verify any information in question with Hi Tech Luxury Imports. New Price! Bianco Clean CARFAX. - Come check out Hi Tech Luxury Imports, Austin's best source for Exotic Performance vehicles. Save time and call our VIP Ecommerce team at 512-401-2663. While every reasonable effort is made to ensure the accuracy of this information, we are not responsible for any errors or omissions contained on these pages due to errors with our third party inventory polling service. Please verify any information in question with Hi Tech Luxury Imports. Recent Arrival! Bianco Clean CARFAX. - Come check out Hi Tech Luxury Imports, Austin's best source for Exotic Performance vehicles. Save time and call our VIP Ecommerce team at 512-401-2663. While every reasonable effort is made to ensure the accuracy of this information, we are not responsible for any errors or omissions contained on these pages due to errors with our third party inventory polling service. Please verify any information in question with Hi Tech Luxury Imports. ABS brakes, DVD-Audio, Electronic Stability Control, Front Bucket Seats, Front dual zone A/C, Heated door mirrors, Heated front seats, Heated rear seats, Illuminated entry, Low tire pressure warning, Navigation System, Power moonroof, Power passenger seat, Remote keyless entry, Traction control. Nero Ribelle CARFAX One-Owner. Clean CARFAX. - Come check out Hi Tech Luxury Imports, Austin's best source for Exotic Performance vehicles. Save time and call our VIP Ecommerce team at 512-401-2663. Reviews: * Distinctive styling; engaging handling; potent engines; spacious cabin with user-friendly controls. Source: Edmunds While every reasonable effort is made to ensure the accuracy of this information, we are not responsible for any errors or omissions contained on these pages due to errors with our third party inventory polling service. Please verify any information in question with Hi Tech Luxury Imports. Nero Ribelle Mica CARFAX One-Owner. - Come check out Hi Tech Luxury Imports, Austin's best source for Exotic Performance vehicles. Save time and call our VIP Ecommerce team at 512-401-2663. Awards: * 2017 KBB.com 10 Most Fun SUVs Reviews: * Stands out from the sea of lookalike luxury crossovers; turbocharged V6 engines provide quick acceleration; advanced suspension enhances ride comfort and handling around turns; highly customizable interior with numerous upscale touches. Source: Edmunds While every reasonable effort is made to ensure the accuracy of this information, we are not responsible for any errors or omissions contained on these pages due to errors with our third party inventory polling service. Please verify any information in question with Hi Tech Luxury Imports. Grey CARFAX One-Owner. 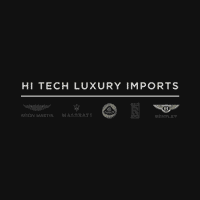 - Come check out Hi Tech Luxury Imports, Austin's best source for Exotic Performance vehicles. Save time and call our VIP Ecommerce team at 512-401-2663. Awards: * 2013 KBB.com 5-Year Cost to Own Awards * 2013 KBB.com Best Resale Value Awards * 2013 KBB.com Brand Image Awards Reviews: * Impressive cornering ability; engine choices from willing to thrilling; high fuel economy of Hybrid model; comfortable ride; beautiful cabin quality. Source: Edmunds * If your next sports car requires easy entry and exit for all four passengers, the 2013 Porsche Panamera tops a very short list of options. Its low-slung stance and 911-like shape help it stand apart from other performance 4-doors that are merely beefed-up luxury sedans. Source: KBB.com While every reasonable effort is made to ensure the accuracy of this information, we are not responsible for any errors or omissions contained on these pages due to errors with our third party inventory polling service. Please verify any information in question with Hi Tech Luxury Imports. Grey Clean CARFAX. - Come check out Hi Tech Luxury Imports, Austin's best source for Exotic Performance vehicles. Save time and call our VIP Ecommerce team at 512-401-2663. Awards: * JD Power Initial Quality Study (IQS) * 2017 KBB.com Best Resale Value Awards * 2017 KBB.com 10 Most Fun SUVs * 2017 KBB.com Brand Image Awards * 2017 KBB.com 10 Most Awarded Brands Reviews: * Quick acceleration regardless of engine choice; most athletic and engaging to drive SUV in its segment; surprisingly comfortable and composed ride; excellent interior quality makes the cabin feel a step above its competitors; long list of options means you can customize every last detail to your liking. Source: Edmunds While every reasonable effort is made to ensure the accuracy of this information, we are not responsible for any errors or omissions contained on these pages due to errors with our third party inventory polling service. Please verify any information in question with Hi Tech Luxury Imports. Mica CARFAX One-Owner. Clean CARFAX. - Come check out Hi Tech Luxury Imports, Austin's best source for Exotic Performance vehicles. Save time and call our VIP Ecommerce team at 512-401-2663. While every reasonable effort is made to ensure the accuracy of this information, we are not responsible for any errors or omissions contained on these pages due to errors with our third party inventory polling service. Please verify any information in question with Hi Tech Luxury Imports. Tungsten Silver CARFAX One-Owner. Clean CARFAX. Certified. Certification Program Details: Basic Warranty Terms 12 months/unlimited miles and Powertrain Warranty 12 months/unlimited miles - Come check out Hi Tech Luxury Imports, Austin's best source for Exotic Performance vehicles. Save time and call our VIP Ecommerce team at 512-401-2663. Reviews: * Sharp styling; compliant ride quality; commendable handling; highly customizable. Source: Edmunds While every reasonable effort is made to ensure the accuracy of this information, we are not responsible for any errors or omissions contained on these pages due to errors with our third party inventory polling service. Please verify any information in question with Hi Tech Luxury Imports. Grey CARFAX One-Owner. Clean CARFAX. - Come check out Hi Tech Luxury Imports, Austin's best source for Exotic Performance vehicles. Save time and call our VIP Ecommerce team at 512-401-2663. Awards: * ALG Residual Value Awards While every reasonable effort is made to ensure the accuracy of this information, we are not responsible for any errors or omissions contained on these pages due to errors with our third party inventory polling service. Please verify any information in question with Hi Tech Luxury Imports.